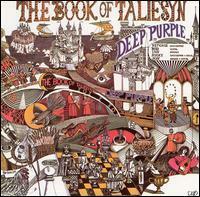 The Book of Taliesyn is the second album by English rock band Deep Purple, released in 1968 by EMI's Harvest Records in the UK, Tetragrammaton in the US and Polydor in Canada and Japan in 1969. The album follows the psychedelic/progressive rock sound of Shades of Deep Purple; however, there is a harder edge to several songs, beginning to show the new sound Deep Purple would introduce in 1970 with Deep Purple in Rock. Also, the original tracks are longer and more diverse than the ones on Shades of Deep Purple, proving that the band had expanded their creativity and ambitions when it came to writing their own material. Although there isn't any title track in this album, the title-phrase "The Book of Taliesyn" appears in the lyrics for the song "Listen, Learn, Read On."